Long Term Rental Cyprus - Property Owner? Do you own a property in Cyprus? If you are not making enough use of your holiday/second home, or you feel it's not earning enough income through weekly holiday rentals… have you thought about renting your property on a longer term monthly or yearly basis ? Long term rentals of 12 months are very popular in the Famagusta region. You can be rest assured that you will be receiving a monthly income with no utility bills to pay for as this is all covered by the tenants. Another popular rental is the summer 3-6 months rentals which can cover the period of JUNE TO AUGUST or APRIL TO SEPT inc. These are popular with owners that still like to visit their properties but would also like a bit of income to support their communal fees or just their own holiday expenses ! These kind of rentals do bring in a slightly higher income than the longer term, especially the peak months of June to August. 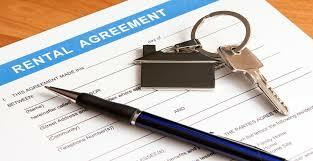 Let us help you find tenants for your property in Cyprus!